Murray had his two biggest victories while under Lendl’s tuteluge. The Czech American became the only ex-super elite male player to have ever successfully coached a current player to a Slam title, as he did when Murray won his first Grand Slam crown at the US Open. Throw the Olympic gold medal into the mix and Murray had a career year, arguably because Lendl taught him to hit out more with his forehand and to be more aggressive in key points against the other members of the Big 4. He believed Lendl because the 8-time Grand Slam champion had the resume to back up his advice. The Question Marks: While Murray did peak at the Olympics (d. Federer) and the US Open (d. Djokovic), he also was stopped short by those two at Wimbledon and the Australian Open and had a marginal year at the Masters Series, falling to win a title. What the world No. 3 lacked was No. 1 Djokovic’s consistency. It is never easy to try and follow up a career year like Djokovic had in 2011 when he won three Slams, but the Serbian did a pretty good job of it, winning the Aussie Open, the ATP World Finals, three other Masters Series and reaching the final of two other Slams. Vajda is somewhat of father figure to Djokovic and knows which buttons to push and when. Novak began the year in outstanding fashion and finished it off with a 2,655 point lead over No. 2 Roger Federer. He is a very deserving No. 1 and Vajda must be given credit for his steady hand. For me the coach of the year is Lendl. 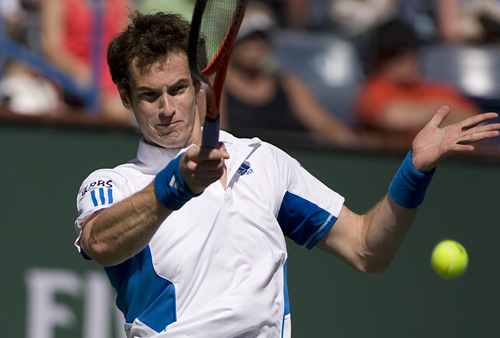 He’s given Andy the belief he needs to play aggressively in the important moments. His involvement with Andy has produced the biggest change among all the player-coach partnerships listed here. I’m full of admiration for the Piles/Ferrer coaching partnership too. It says a lot about both men’s characters that they’re still working together after all these years and still producing fantastic results. Ferrer beat Murray at the French Open this year – he and Berdych were the only ones who beat a member of the top 4 in the slams. I vote for Marian Vajda. He is not only Novak’s coach but only Novak’s “father”.